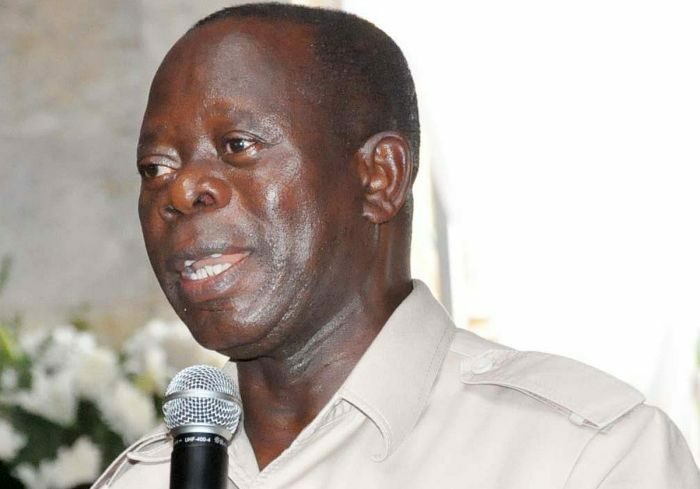 The National Chairman of the All Progressives Congress (APC), Adams Oshiomhole, has said politicians’ sins are forgiven when they join the ruling party. Oshiomhole made this statement on Thursday, while welcoming new members to the party, at the APC presidential campaign in Benin. He said: “I am told that there are a lot of very very senior people from PDP who have decided to join forces with President Buhari to take the broom to sweep away PDP and to continue to ensure that APC continues to preside all over Nigeria. “It includes my own brother, my friend who comes from my own clime, Henry Duke Genebe. He is the former organising secretary of PDP and we also have former vice chairman PDP and leader of Edo North of PDP. We also have my brother Chief Esheshi Godwin. He is also former council chairman and my very dear friend. We have quite a number of other leaders who have come.